Nickels Arcade is located on South State Street in Ann Arbor. Offering a wide array of more specialist stores than you may see elsewhere, it will undoubtedly be an absolute delight for you to visit and just while away the hours seeing what is available around every corner. In other words, this is not your run of the mill stores but rather a place where you can just chill and relax as the world goes on around you. The antique shops and flea market based in Nickels Arcade allows you to find an absolute bargain no matter what your tastes may be. Also, with items changing on a regular basis, it can be amazing as to what you may find if Lady Luck is smiling on you at the time. With special deals around every corner, and retailers that take a keen interest in each and every customer, this provides a completely different shopping experience than anything that you may have had before. Boutiques, independent stores, and various other delights will await you no matter which way you turn and all in a wonderful looking location. With a stunning atmosphere to boot, this is the kind of shopping experience that you are always wanting to check out. 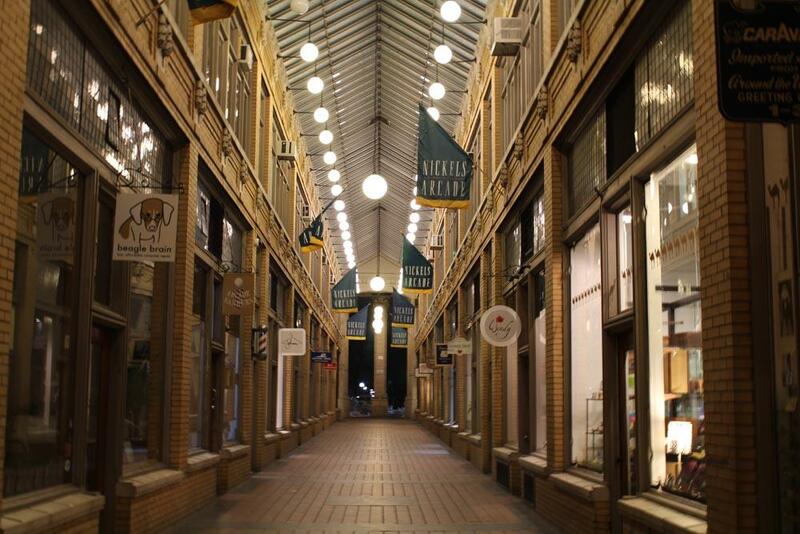 Aside from shopping, there are a number of other things that you can do in your free time in and around Nickels Arcade. With various placed to get a bite to eat, to some cool and trendy locations for a relaxing drink, or perhaps even watching a performance at the Michigan Theatre, there is no way that you or your party will ever be bored, and it is all within a short walking distance of the arcade itself. In other words, you can easily spend the entire day in this area and while away the hours like never before. Nickels Arcade is a wonderful place to visit in Ann Arbor, and keep an eye open for those special deals and bargains that pop up all of the time in the various stores that fill the streets. No matter the weather, there will be something there for you across all styles and personal preferences.